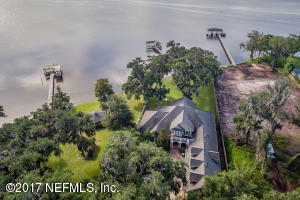 Custom Builder House on 1.3 Acre waterfront with 2 docks, 2 private boathouses & boat lifts, Heavy insulation, 2 new HVAC systems, open 2-story rooms, granite countertops, circular stairway, optional 5th bedroom/Study downstairs. 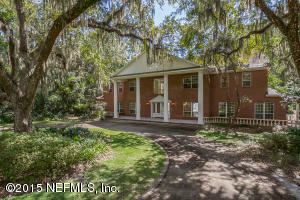 City water, Living/Dining/Great Room/Crow's nest overlooking Great Room/Game Room. Several architectural interior details. 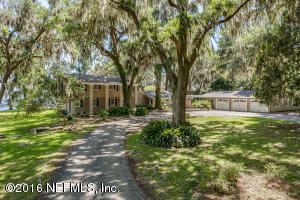 Close to Hospital and St. John's Country Day School. This home is spectacular in every way. Make your appointment today! 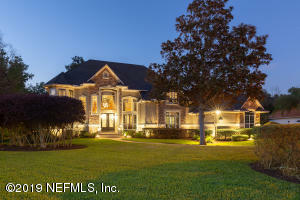 Quality & luxury abound in this custom home by Poimbeuf. 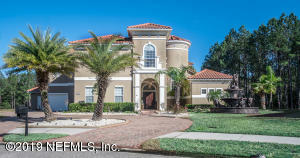 Beautiful marble floors, soaring ceilings and elegant lighting throughout the first level. 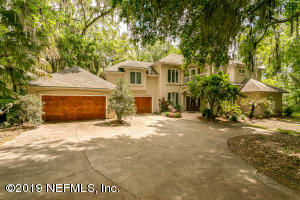 Spacious family room w/ custom built-ins & fireplace. Gourmet kitchen w/ gas cooktop, built in coffee/espresso maker & butler pantry. Gathering rm provides another great space for entertaining. Just off the gathering rm is the perfect mother-in-law suite w/ a full bath. Downstairs master suite features double trey ceilings & plenty of natural light. Luxury bath includes jacuzzi tub, his/hers basins & large walk in closet w/ custom shelving. Take the elevator or the marble staircase to the 2nd level. The 2nd level includes 3 large guest suites all featuring a walk in closet & full baths. 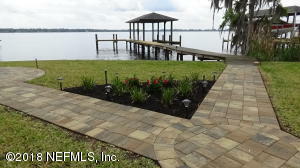 This beautiful, exceptionally designed and maintained riverfront property is absolutely one of a kind! The main house was built in the 1920's and has been lovely restored by the owner. There is a sep. garage w/offices and a huge game/party room up above. The 3rd building is a 2 story Guest House w/full BA. The 4th building is a Gym/Studio. The 5th building is a well designed Green House. There's also a storage building. All buildings other than the main house were built by the current owner. The buildings are all connected by beautiful brick walkways. 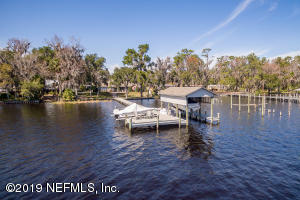 The property includes river frontage w/a dock, covered boat slip & lift. This property is high & dry and did not flood! 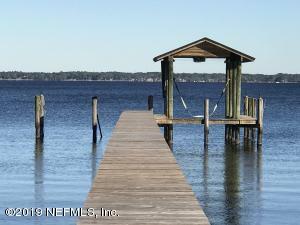 The amenities that this property has to offer are too numerous to list here. 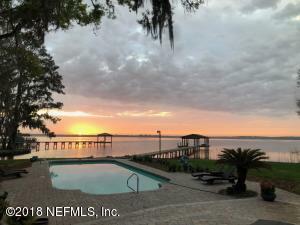 The river views are outstanding!